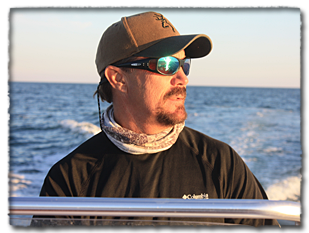 Captain Jimmy Maxwell, owner and operator of Backwater Guide Service, is a USCG licensed and insured captain. A fifth generation native of Apalachicola, Florida, his family roots go back to mid 1800’s. He grew up fishing and hunting on the Apalachicola River and Bay. Some people call this area the forgotten coast… he calls it home. Whether fishing or sightseeing, the captain has the experience and knowledge to get the job done. But it’s his personality that will make you feel like you’ve known him all your life. A family man his self, he knows how to put a smile on a kids face. He builds relationships with his clients that keep them coming back year after year. And when it comes to fishing it doesn’t matter to him how much gas he burns or how many times he has to pull the anchor to locate fish. Site Design and Hosting by NashTech, Inc.